Just 2 Birds: Healthy Challenge - Day #21 -- Recipe Swap! 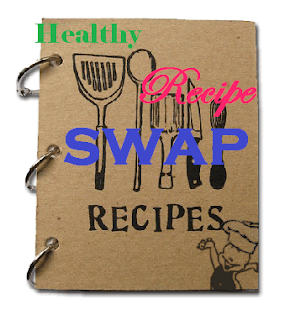 Healthy Challenge - Day #21 -- Recipe Swap! Who here loves to EAT??? I *do*, I *do*!! So here is a great opportunity to share some great healthy recipes! Lately my husband and I have been sticking to the very healthy and very cheap meals for his diet and our wallet! Lean Chicken Breasts (we like Foster Farms best) - Grill on the stove with some EVOO and seasonings of your choice. We like to change it up a lot! Rice - we go through more rice than you could imagine! If we're paring it with spicier chicken then we'll go with some hot sauce in our rice. Veggie - I like to throw in a veggie (whether or not my husband eats it...). Mike's nutritionist told him to do green beans so that's about all he'll agree to eating. Try blanching them - I've found I really like them that way! To mix up your protein try using fish. You can find some great fish on sale and get the amazing benefits of having some seafood in your diet. Most people seem to prefer salmon but that tends to be a little bit expensive so try other types like Tilapia! I've found that it tastes great and is pretty inexpensive! - Homemade Fajitas - we have these about once per week! So EASY! - Frozen Yogurt Dots - the perfect cool treat this summer! Here are my next 3 healthier recipes to try! For sauce: Mix together water and cornstarch until smooth. Stir in remaining ingredients. Set aside. For chicken: Whisk together egg whites, cornstarch, salt and pepper. Stir in chicken. To cook: Heat skillet over medium-high heat. Add a small amount of oil. Add half of chicken to pan, dripping off excess coating. Cook, stirring occasionally until golden brown and cooked through. Remove from pan, add more oil if necessary and repeat with remaining chicken. Set the chicken aside. Add sauce to skillet and cook until snow peas are tender and sauce is thickened. Add chicken (and any collected juices) to skillet.Toss to coat. *Make sure to use gluten-free soy sauce if cooking for those who cannot handle wheat. * Feel free to add as many veggies as you like. a baking sheet with olive oil spray. so the olive oil evenly coats all of the chicken. another 4 - 5 minutes or until cooked though. Ok, truth be told I'm basically a big kid! 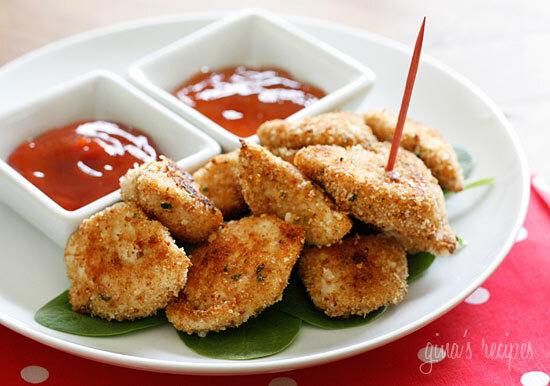 I love chicken nuggets! 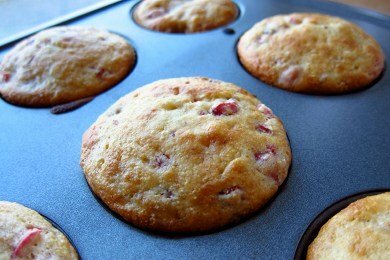 I *LOVE* muffins and this recipe looks so good and EASY! Who is with my for sharing some healthy recipes? Link up your great eats below or add them in the comments! Preheat oven to 400 degrees. Combine all ingredients starting with the dry items first, then going down the list. Stir in the zucchini, carrots, pecans and raisins just until blended. Bake 18-20 minutes for regular sized muffins, or 12-14 minutes for mini-muffins. Cool for 10 minutes before taking out of muffin tins. Thanks so much! These sound so great, I'll have to try them soon! To get my veggies in I love different salads. But I love to bake them too. I cut up potatoes, sweet potatoes, peppers, carrots, onions, squash, and/or zucchini and put a little olive oil and seasonings on them (we love Mrs. Dash in our house). Then I bake it for about an hour at 400 degrees! Or since it's summer we coat them and then grill them!